Use your real account username and password, you do not need to register separately. 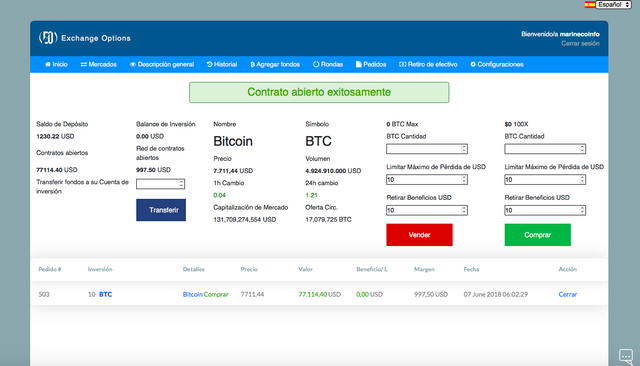 at the Demonstration version of EO you will get 10.000 USD virtual currency on your investment balance and 100.000 USD on your deposit balance. If you are ever out of funds deposit BTC and LTC testnet coins. This topic has been moved to Altcoin Discussion. General Discussion / exchange-options.com is now active register today. General Discussion / New platform domain name poll ?? Example subdomain default page use of the domains for the listed 1600 coins on the exchange will be as follows.